Jan 16 Back to work! When I lived in Dubbo there was a well-known and jovial newsagent who, when people checked their lottery tickets with him and found out they didn't win anything, he would say "Back to work!" I feel like that as we begin 2019. Towards the end of 2018, the world looked pretty good at OC Life, things were sailing along smoothly, and plans were in place for me to start retirement in 2019. Sadly, that all came crashing down right on Christmas. In the space of a very short time, we lost the contract for Council's main advertising through unfortunate circumstances, we were advised our printing bill was going up considerably from January 1 and a long-standing delivery arrangement ended, resulting in our delivery costs also going up several hundred dollars a week. These three things changed everything that was in place at that time, and the result for me? Back to work as usual in 2019 and what's more, full time. I have no regrets whatsoever, a bit disappointed maybe, but over the break I had time to think about our future and particularly the coming year and I'm now quite excited about what I want to achieve. By the way, the only reason I'm telling you all this, is that many readers who have been following my comments could be forgiven for feeling totally confused, it really has been a roller coaster ride, so much so that closing our doors completely was on the cards at one point. Not any longer though. In fact, I'm now ready to provide Orange with even more through Orange City Life this year. You might say I have a "Bucket List" of things to achieve during 2019. 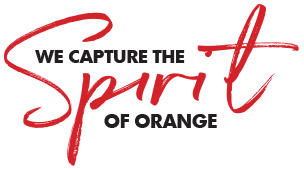 The foundation of what I want to do is to make our Community Project for 2019 a local one, all around the theme, "Put Orange first!" "Put Orange first!" will have a number of components and there are a number of outcomes I'm after. Among other things, and given our experience late last year, I really want to push home how important it is to not only support our local small businesses, but to value and respect them as well. We’ll also be awarding four OC Life Advertising grants worth $5000 each to four local small businesses. I am also determined to see if we can help speed up those basic things our City has needed for so long yet seem to be going nowhere. I'm aware that things are happening, but at a pace that seems oh so slow. There are for instance, some things that need urgent attention right now, things that would be impacting badly on our economy and will continue to do so until we address them. For example, I'm sure there are simple and inexpensive things we can do right now to improve the look of Summer Street to make it a more attractive shopping experience for everyone. I think it's also poor form to spend so much time debating about a toilet block in Robertson Park while 50 million travellers through Orange can’t easily find a public toilet and when they do, it’s likely to be a glorified port-a-loo. To me that's a totally insulting, unacceptable and unnecessary situation facing visitors and travellers to a major City like Orange. So, the basic plan is in place, I'm super motivated to play our part in trying to make a difference in Orange throughout 2019, so from here it's just a matter of seeing how you the community, responds. If enough of us pull together, who knows what good we may be able to achieve? Jan 16 Everyone is invited to the party! Jan 23 Houston – we have an urgent toilet problem!